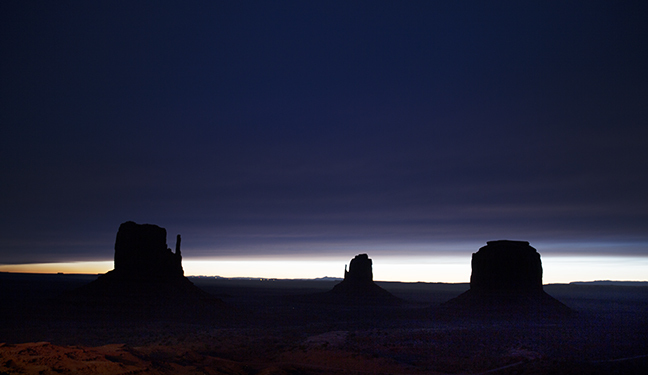 Tse'Bii'Ndzisgaii, the Navajo Nation's 30,000 acre Monument Valley Park on the Utah-Arizona border, became an iconic symbol of the American West after being featured in John Ford’s 1939 movie Stagecoach, starring John Wayne. 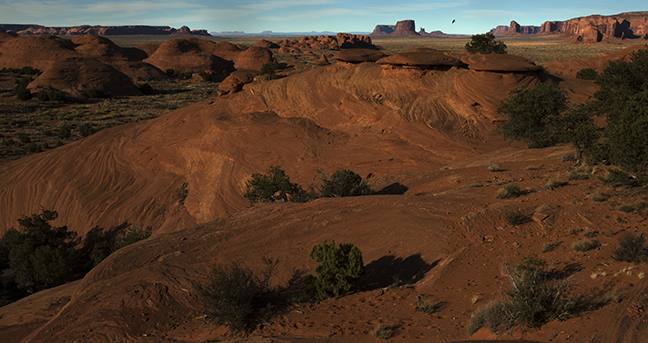 The park’s sandstone buttes, up to 1,000 feet tall, are layered Moenkopi Formation capped by Shinarump Conglomerate on top of de Chelly Sandstone and Organ Rock Shale. 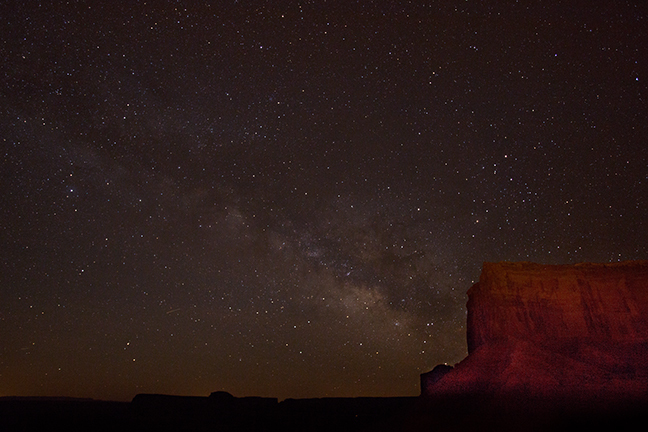 The adjacent Mystery Valley, site of ancient Anasazi ruins and numerous petroglyphs depicting humans, animals and other objects, is in the southern portion of the Monument Valley Tribal Park and is only accessible with a Navaho guide. 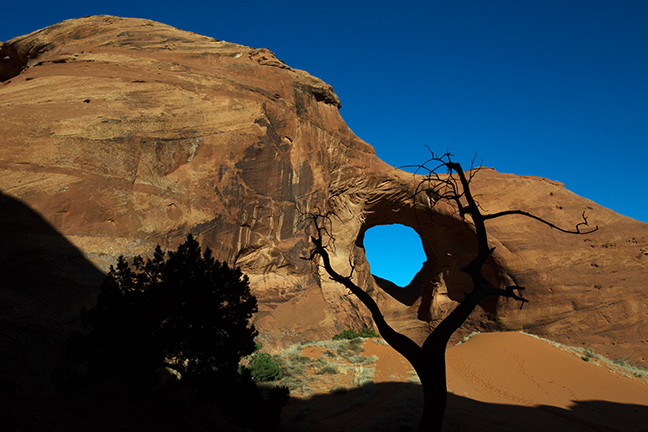 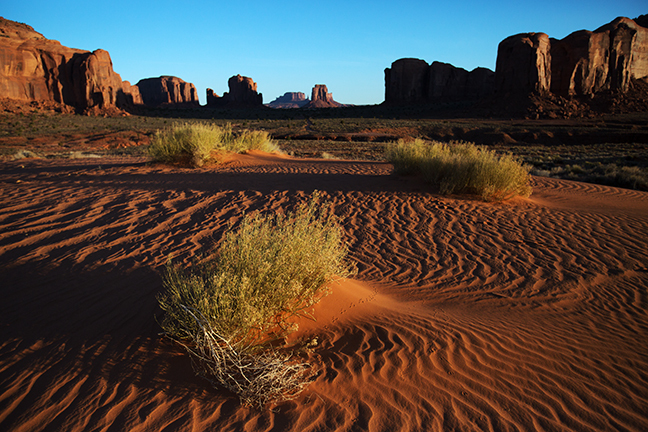 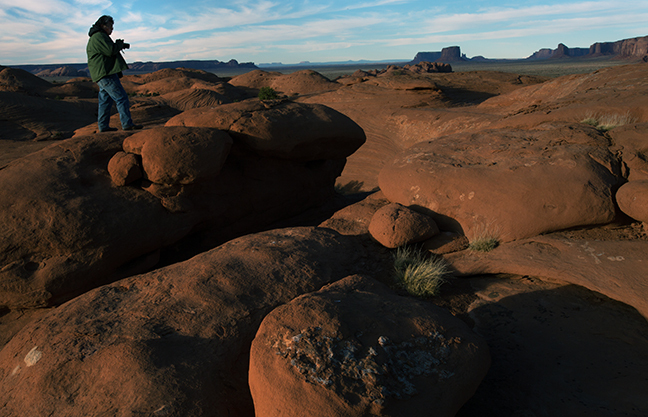 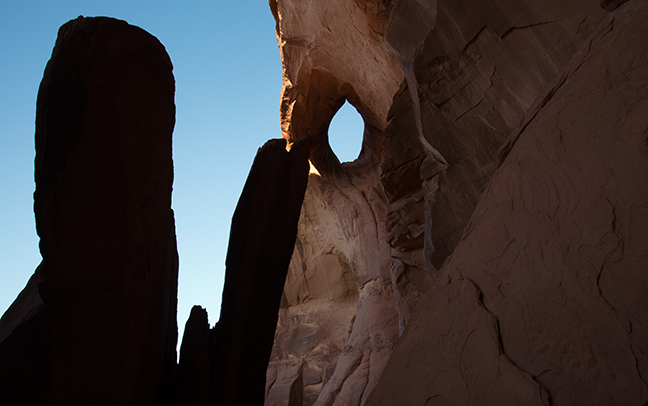 East and West Mitten Buttes are among the most recognizable geological features within the American West. 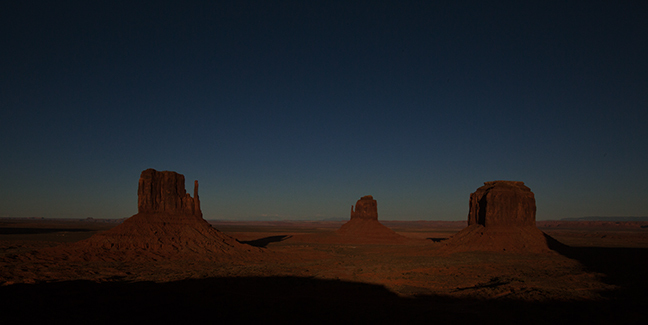 When viewed from the south, the buttes resemble two gigantic mittens with their thumbs facing inwards. 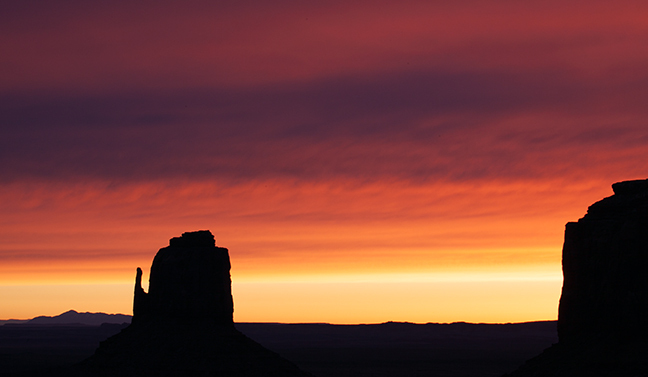 The Mittens form a triangle with Merrick's Butte to the south and, along with Sentinel Mesa, form the Mitten Buttes Quadrangle. 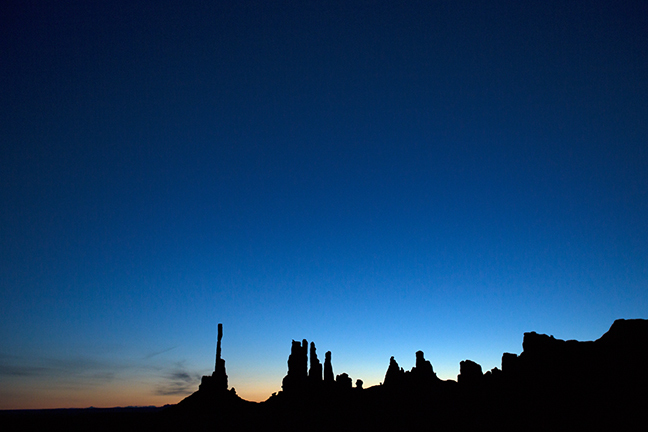 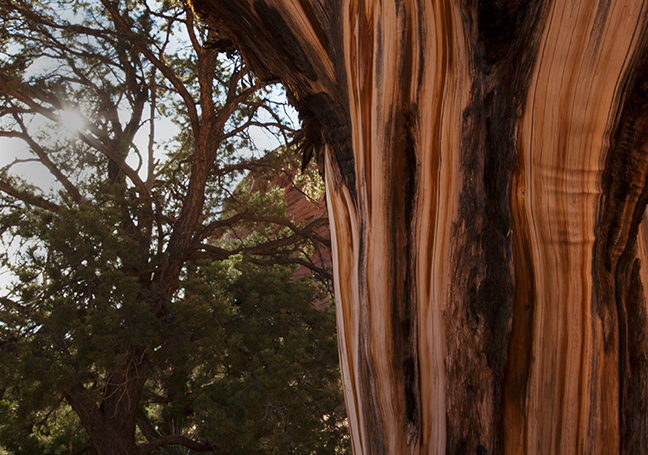 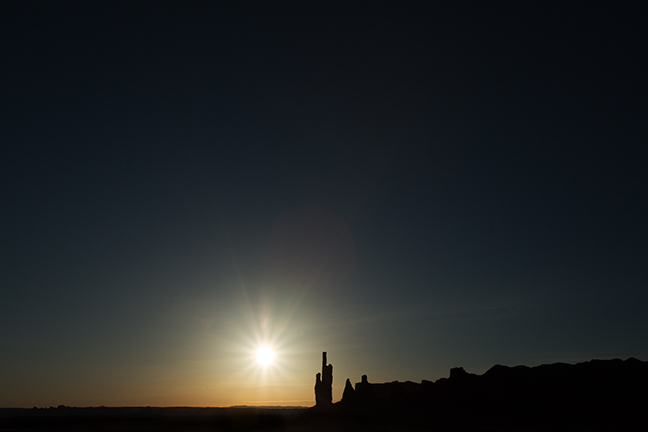 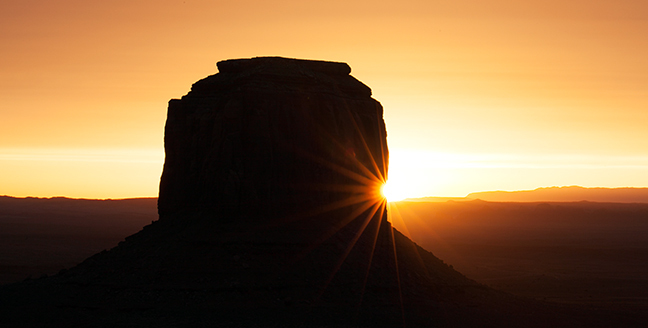 Another iconic Monument Valley landmark is called the Totem Pole and is the highly eroded remains of a butte.